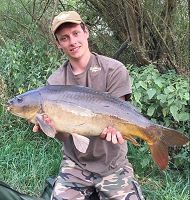 The fishery is happy to allow guests on the site at no extra charge, as long as they are accompany a paying angler in the same swim and abide by all fishery rules. We do not allow groups of lads coming as guests but wives, partners and children are more than welcome. Well behaved dogs are also welcome as long as they are kept on a lead and you clean up after them.